So he carries on like a knob in the dressing room. Popa didn't drop him in 14/15 when we had nothing to play for and Popa certainly wasn't afraid to drop people. Worst case he causes trouble and gets dropped, then he's equally as dropped as Pio was, making the same number of appearances and failing to score the same number of goals, but he's not taking up marquee wages or a visa spot. Now waiting for the FFA to decide if his 4 year ban will carry over to Australia. Dunno what he's up to these days(apart from the article) but he could be easily earning enough in the NPL to be a full time player, keep his head down and the goals up for just one season and he'd be back in the A League. Maybe i'm just a Westie and don't like giving up on other Westies. Having followed his career since he was a teenager I'd like to see him prosper but realistically which NPL club would be prepared to take that risk? Many had high hopes for him after one of the youth World Cups where he was a shining light and the possible future socceroo no.9. But his off field crap and club choices have ruined a potentially great career. Even Popa gave him a chance and he screwed that up too. Maybe speaking to a psych will be a revelation and he gets back on track. We won't know until he starts playing again. THIS. We saw the two sides when he came to Wanderers. On old mate Kerem: We can all say that his club history prior to WSW showed that he was never going to make it but I don’t know. Sometimes it takes being in the right environment for a player to turn from an average one to a good player (reminds me of when not best Baccus in the space of a few games really matured a few seasons ago under Popa but hasn’t taken the next step up since). He spent a good 6 months with us & I wonder what would have happened if he stayed with us in his first stint. He was given a low ball offer & in hindsight it was what he was worth but didn’t take it. I guess it didn’t matter because once he had that bust up with NTS he was effectively gone. Again hindsight is a wonderful thing, had he just been patient & grafted his way I think the outcome would be different. I think Popa mentoring him & nuturing helped too. His second stint, what a disaster but the damage was already done. I really hoped that he would succeed, there is something about a guy passionate about his team & a real underdog/battler scenario that grabbed me. Now it’s all in the past. Wasnt I reading it on here that he was trialing for Mt Druit? I recently saw a facebook post from the Homebush Futsal page suggesting he played in a Div 1 social team. Yeah same here, i'm in. I'm sure he's been through enough now that's finally sunk in (ok it took longer than the average person) what the alternative to not taking your chosen profession seriously is. One more chance to work under MB, just because he's from Western Sydney. It's not as if he's Ben Barba or anything. The club themselves probably don't want to take that risk. He has more chance of going to SWS if they want to take that risk. If he wants to play at WSW he will have to beg and get paid peanuts imo. If the club are considering it (and I think that ship may have sailed) they only way I can see it working is if he agrees to do a whole preseason with MB before being offered the contract. 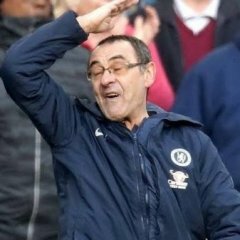 That way the manager can assess where he's at, his fitness, what his attitude's like etc and not be locked in to anything. How many last chances can one guy get? His best chance back into a league is to go play NPL (but what NPL team will take him) score 30 goals in a season. Wow. He is a minnow in comparison with Maclaren or Juric, and yet he sees himself as Socceroo material? Based on what? Scoring six goals a few years ago? Apart from coke, what has he done since? “I am finished with drugs. It was a one-off thing, and it has destroyed my career." That's another delusion. Playing in 4th tier Turkish football is not a career move. It's a declaration of bankruptcy. 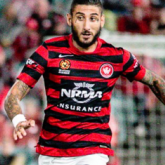 Bulut doesn't deserve a WSW or HAL deal because he is a substandard player. The thought that he has anything on Yeboah or Duke is laughable. On that ground alone an HAL comeback is, well, delusional. Unless, of course, any club owner gets off on face tattoos, photos of pyro smoke, endless jubilation about offside goals, and someone who is yet to comprehend the offside rule. He won't get a deal at WSW because what he says he'd be doing is inconsistent with what he ends up doing. Good luck, Kerem, it was fun the first time around, but not the second. The world has moved on, and so should you. yeah i don't think he's referring to his stints at wsw. i think it more the fact he played for the national team youth teams, didn't progress from there and made stupid decisions repeatedly. he know's he ****ed up massively, but now he wants to knuckle down and try and fix things - be a better person, be a better footballer. and you know what? good on him. Yep, and he said similar things 2.5 years. What a professional football club understands under "knuckling down", and Bulut's understanding of it, is miles apart. He demonstrated that in our S5, not to us. He's piled up the bad stuff ups since, and has turned himself into a no go zone for any serious football club. No one in the HAL will go near him. He is like an alcoholic who tells you that he's quit drinking, stops for a few days, and then is back into it.That he will use the words Bulut and Socceroos in one sentence is a clear sign just how big the gap between reality and ambition is. If Nichols was to make an announcement along the line of "guys, trust me, I finally got my **** together, I am a changed man", no one would believe it. When Kerem says the same thing we are supposed to swallow it because, well, he looked good once in red and black, he is from Auburn, and we feel sorry for him? It is tragic really. He is more likely to work at Maccas than kick the ball for a serious football club. no, because we want to support him because he is one of us. anyone of us could be like him. Hmmm. How about Nichols? He is a failed football player as well, has been sniffing the same substance, and was twice as long with the club as Bulut. Are we going to bring him back as well for the starting 11, so he can relaunch his career as Socceroo? Or has "we" less to do with the club and more with postcodes? Now I wish them the best as we do for all our westies and there is no malice or hate towards them when I say they are not a good fit or role model for the young guns coming through or what type of culture the manager or the club is aspiring to. I have the feeling the club will not tolerate player crap anymore. The past 2 and a half seasons have been dire and so now we know that Babbel will only start or use players that put in 100% week in week out and that is they way it should be .If you think as a player that you are here for a a holiday or a good time you won't be wearing red and black and that is the way it should be. Nichols is a blow in from palm beach. not from western sydney. bulut is. people from western sydney should be a big part of this club, what with the club being based in western sydney, representing western sydney, playing in front of fans from western sydney, so if the club were to take a chance, second chance or even a third chance on a player shouldn't that player be from western sydney? like you keep bringing up nichols like we were anything more to him than just another club that gave him a paycheck. anything﻿﻿ more to him than just another club that gave him a paycheck﻿. I think that’s the problem with too many of our squad over the last 2 seasons (maybe even 3). Too many just taking a paycheque & I think bringing in someone like Duke who gives a **** might be the solution. Not saying that give third time go lucky Bulut a chance but maybe it will mean more to him than just another player going through the motions. Nuh, I am just bringing up Nichols to clarify what we are talking about here. So, you are in support of Westie players for the West, sponsored and supported by WSW. I agree, and to my knowledge, so does the club - as long as the players are good enough. Bulut isn't. And on top of that, he is toxic. I the club let a Santa go because he is seen as too old and injury prone, why would they want to take another gamble with Bulut? Not going to happen. But then again, Santa was from the South, and doesn't count then. Didn't he get involved with NRL bad boys Sonny Bill Williams and Anthony Mundine when last played for us?